Catalunya could be described as a country within a country; an amazing diversity of landscapes, a people justifiably proud of their language and culture, traditions that date back thousands of years and world renowned gastronomic excellence. Easy access by road, rail and air makes Catalunya an ideal destination for holidays, offering something for everyone; sporting facilities, cultural activities, fascinating places to visit and stunning beaches. The Catalan capital, Barcelona, surely the most vibrant, modern city in Europe, teems with life and atmosphere, unforgettable architecture, wonderful museums, a Gothic quarter, a thriving port, characterful 'ramblas', the best in shopping, traditional bars and restaurants. This colourful and exciting city is seemingly inexhaustible and easily traversed via its efficient public transport system. Catalan cuisine encompasses flavours most of us all love - tomatoes, olive oil, garlic, onions, dried nuts and lots of dried herbs. The Catalans are justifiably proud of their culinary skills and some typical dishes include chicken with prawns, quails with grapes, snails with tomato and chorizo or lobster with chocolate. Most meals start with 'pa amb tomáquet', bread rubbed with tomato and garlic and then drizzled with olive oil and seasoned with salt. This is often topped with anchovies, red peppers or chorizo. An important part of life in Catalunya, fiestas range from local village celebrations to large scale organised activities. Most villages acknowledge their patron saint's day with a 'feste'. To herald the start of summer, the festivities of Sant Joan are held on the night of 23rd June, with the traditional dessert after dinner being 'coca' a type of sweet bread accompanied by a glass of cava. Informal fireworks are then enjoyed until the early hours. On the National Day of Catalunya, 11th September, large scale celebrations take place all around the province, culminating in the dancing of 'sardanas' and fireworks into the night. The Botanical Gardens of Cap Roig are the venue for the internationally acclaimed Music Festival, which is held from the beginning of July to the middle of August and attracts the big names of the music scene from rock to classical and famous artistes from the world of dance. The stunning setting in the grounds of the castle, with the gardens blending perfectly into the rugged landscape of the Costa Brava and the Mediterranean Sea, draws vast crowds to marvel at this unique venue and the cultural delights. Catalunya has a Mediterranean type climate, with hot, dry summers and mild winters. While summers are hot and at times humid, in coastal areas the afternoon heat is usually tempered by sea breezes and the influence of the Pyrenees means temperatures are more comfortable than in the south of Spain. Girona Airport is closest to the majority of our Catalunya houses, being under an hour's drive from the Costa Brava. Alternatively, Barcelona Airport is less than 2 hours driving time from our properties. Nowadays, the variety and choice of flights from UK airports to European destinations is considerable. We do not tie you in to a package holiday with prearranged travel; you are free to choose flights from your closest airport using any charter, scheduled or low cost airline. We always recommend booking your flights and hire car as soon as you have decided on your holiday accommodation. You will find that fares are usually lower and the choice of flight times is wider. Cruilles is a charming hamlet where it is a pleasure to wander around the tiny streets admiring some of the beautifully restored houses and the handsome Romanesque monastery, and to stop for a refreshing drink in the local bar. 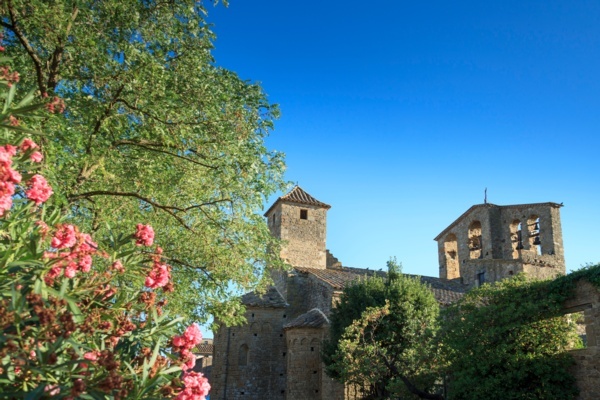 Also worth a visit are the beautiful nearby medieval villages of Monells, Peratallada, Palau Sator and Pals which have been beautifully restored over the years. Known as the 'golden triangle', here you will discover renowned restaurants offering very good value ‘Menu del día’ of locally sourced seasonal produce. 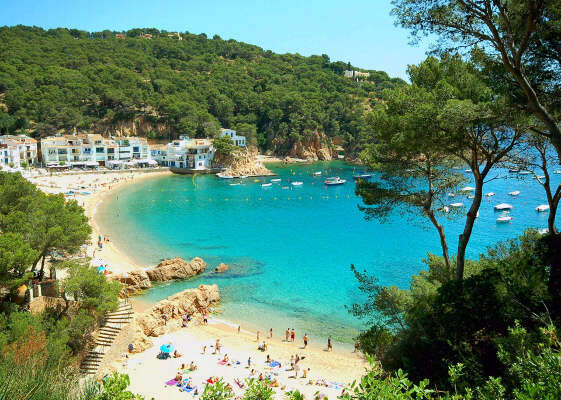 Stylish Llafranc is delightful place to spend a family holiday, with its perfectly formed horseshoe bay of golden sand, and good selection of shops and restaurants. The elegant tree-lined promenade and attractive marina give it a distinctly cosmopolitan feel, yet it still retains its Catalan atmosphere, and evidence of its origins as a Roman settlement can still be seen. The medieval town of Pals sits perched on the Puig Aspre and can be seen for miles around. It has far reaching views of the surrounding countryside and also out to sea, with the famous Medes Islands in the near distance. Wander around the narrow cobbled streets and you will be amazed at the beautiful solid stone houses, many of which have been lovingly restored. 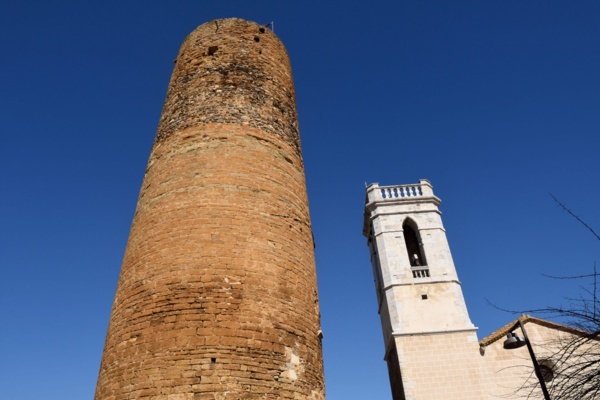 One of the main features to admire is the magnificent circular Romanesque Tower, the Torre de ses Hores, which is all that is left of the castle that used to guard the estuary of the river Daró. A sprinkling of cafes and restaurants can be discovered in hidden corners, ideal for some refreshment after you have climbed to the top of the tower and drunk in the fantastic views! 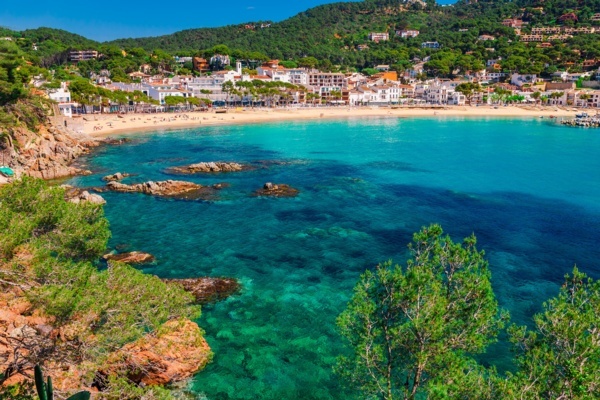 Of the trio of Palafrugell's coastal villages, Tamariu is the smallest and perhaps the most authentic spot along the coast, with its narrow horseshoe bay and sandy beach surrounded by pine clad cliffs. Tamariu takes its name from the Tamarindus trees that at one time grew in abundance along the La Riera that leads down to the beach. Today they can be seen planted along the promenade. The tiny hamlet of Saus sits in a delightfully rural corner of Catalunya, with views of the Pyrenees in the background and surrounded by undulating countryside. Narrow cobbled streets wind their way through the village in between buildings of solid stone, some of which have been lovingly restored. Although there are no restaurants within the village, in the summer months a mobile pizzeria comes in the evenings at weekends and is a very popular visitor! Palafrugell is an ancient town whose origins can be traced back as far as the 5th & 6th centuries, when it was known by the name of 'Palau-Frugell' (loosely translated as 'protected house'). The lack of safety along the coast led the population to move inland and Palafrugell began to take on the aspect of a medieval walled village. This can still be discerned today by simply walking from the main square, Plaça Nova, up the stone steps to the left of the bar Can Moragas into the narrow lanes which lead to Palafrugell’s 15th century church of San Martí. The Cork-Oak or 'quercus suber' has been growing in the region for centuries, and Palafrugell has had an association with cork stretching back to the time of the Roman Empire, when it was first cut for making shoes. Whenever you open a bottle of wine or champagne it is very likely that the cork was made in Palafrugell. 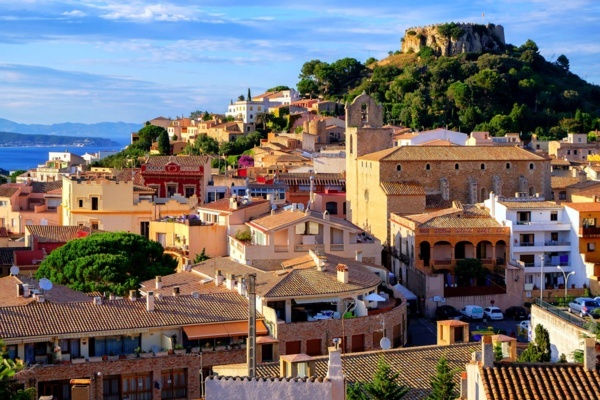 The hilltop town of Begur offers amazing panoramas and hidden alleyways and squares among the narrow streets of its old quarter. Feudal lords, coral divers, pirates, fishermen and young adventurers sailing to the Indies all played their part in creating this fascinating historic town. Built beneath the imposing 11th century castle, Begur was subjected to constant pirate attacks which hastened the construction of tall stone defence towers, many of which can be seen today as one meanders along the narrow winding lanes lined with chic boutiques, excellent restaurants and tapas bars. La Bisbal has so much to offer! 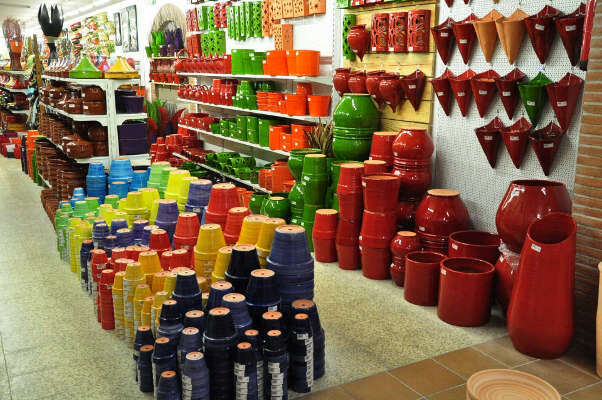 It is the centre of the ceramics industry in Catalunya and there is a Terracotta museum which is well worth a visit. 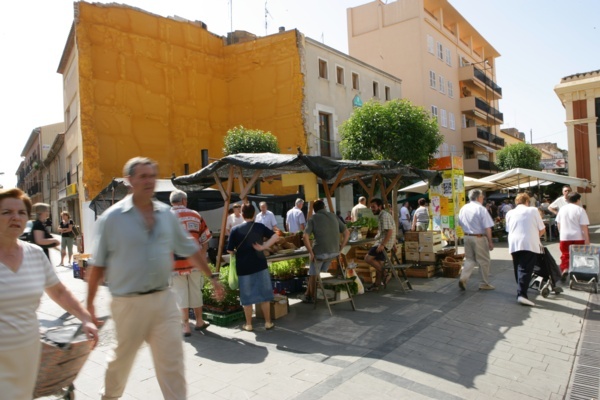 The main street is lined with shops selling the colourful wares and this links via the medieval bridge over the Daró, whose riverbed is often dry, to Les Voltes, a row of 18th century houses, under whose arches are some excellent cafes and cakeshops. A colourful market on a Friday adds to the attraction. Aigua Blava, along with the nearby little coves of Sa Riera an Sa Tuna, are delightful coastal gems tucked away beneath a backcloth of pine-clad hills. Aigua Blava, as its name ‘Blue Water’ indicates, is a beautiful picturesque cove with clear blue water and fine golden sand. On the southern side of the Cap de Begur, it is surrounded by lush vegetation and offers glorious sea views. Steps up from the beach lead onto the ‘cami de ronda’ pathway, which winds its way along the coastline. Vall-Llòbrega has the advantage of being essentially rural yet only a short drive from the delightful, virgin beach of Platja del Castell. It nestles at the bottom of Les Gavarres mountains, a wonderful starting point for exploring the wooded hillside on foot. The village boasts two very popular restaurants, offering excellent value home cooked food and greatly favoured by the locals! Torroella de Montgri is situated just inland but was once a port on the river Ter. A delightful ‘Rambla’ forms the main street where families gather to sit in the shade of the trees and mingle. A famous music festival is held each summer. 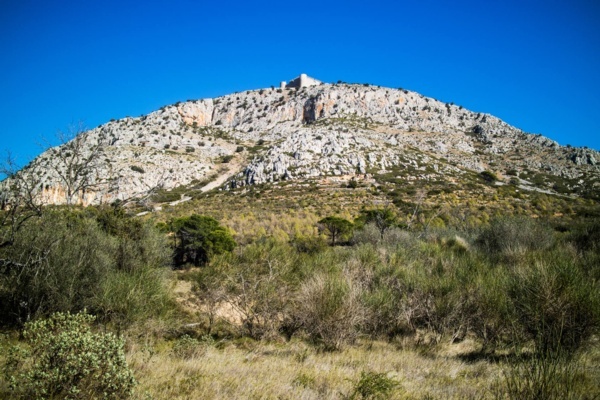 The Castle of Montgri, which sits on the hillside and overlooks the town, can be reached on foot. 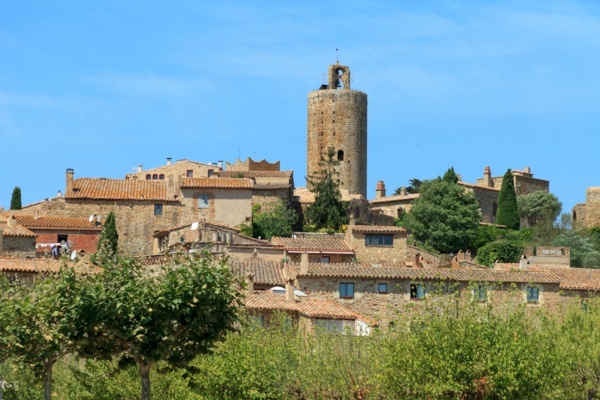 The village of Calonge grew up around the castle that takes its name, Castell de Calonge. It dates back to the 13th century and was originally constructed as the fortified western defence of the Royal Port of Palamós. 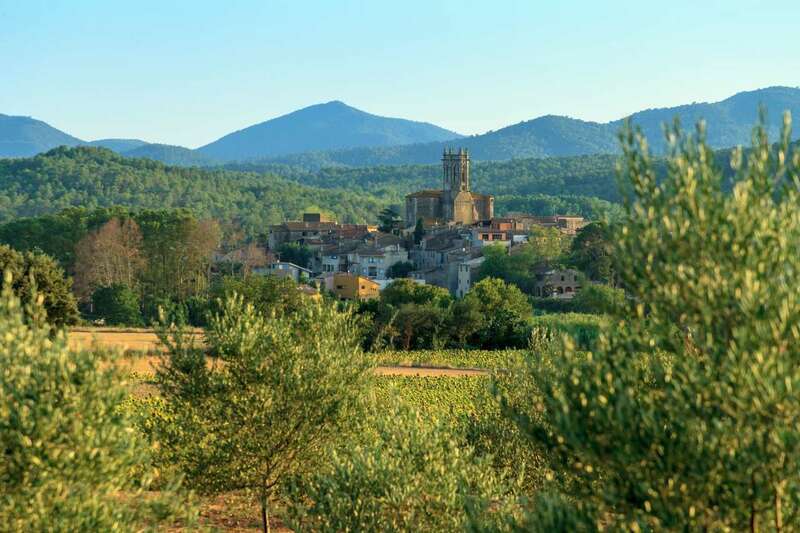 Like most of the villages that nestle in the foothills of the Gavarra Mountains, Calonge relied heavily on the natural resources the forests afforded it: charcoal burning, cork, olives and vines but it also had the sea. Calonge could be described as a village - “mar i muntanya” - a backcloth of lush, green wooded mountains contrasting with the long majestic beach of Sant Antoni and turquoise waters that lap the beautiful hidden coves of El Paller, Can Cristus and Cala Cap Roig. 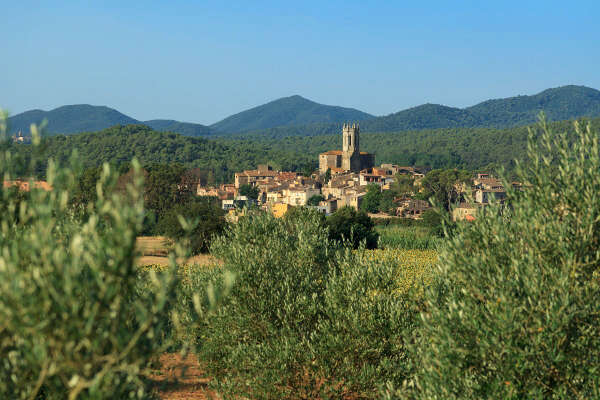 La Pera and Púbol are two neighbouring hamlets tucked away in the gently undulating pastures of this delightful part of El Baix Empordà. The medieval village of La Pera has a shop and a good restaurant offering local fare and Púbol houses the castle which Dalí bought for his wife, Gala, and where she is now buried. The castle is now a museum, displaying Gala’s clothes and other personal memorabilia. The drive through the country lanes to reach these villages is a real pleasure, passing by fields of sunflowers and corn, with the wooded hills in the background. The pretty seaside hamlet of Sant Martí d’Empúries is definitely worth a visit. It combines history with beautiful golden sand beaches, ideal for just relaxing on, or for the more adventurous, the opportunity to enjoy some of the many water sports on offer. 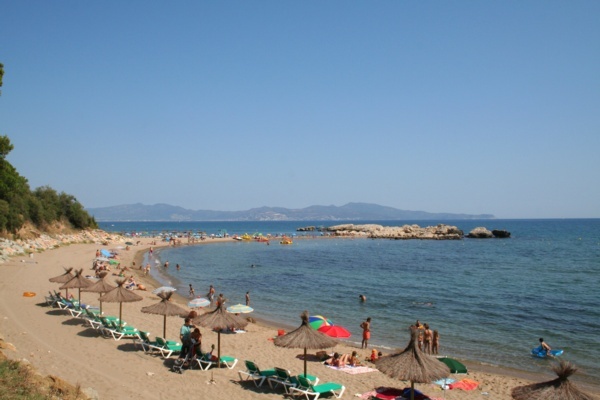 Sant Martí d’Empúries has been inhabited continuously since the end of the Bronze Age and, until 1064, formed part of the Earldom of Empuries. A section of the medieval wall can still be seen today. A stroll through the narrow streets of the village brings visitors to the church of Sant Marti, built in 1538 over a Pre-Romanic temple that had dated back to 926. In the square a number of restaurants offer an interesting gastronomic choice. 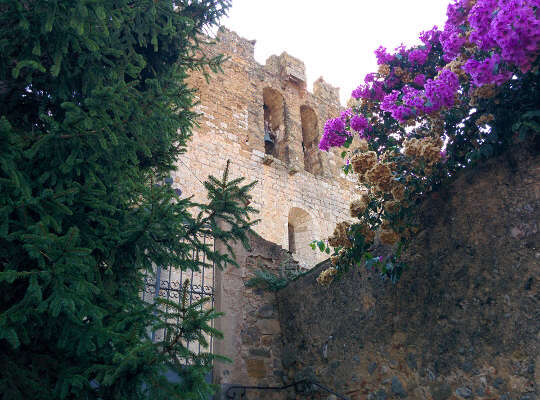 Whilst sauntering along the coastal pathway towards L’Escala, passing in front of the Ruins of Empuries, and surrounded by beaches and coves, the legacy of 2,500 years of history left behind by the Greek and Roman civilisations can be appreciated, and the breathtaking views of the Mediterranean admired. The workaday farming village of Ullastret, whose rampart ruins are clearly visible, has many lovingly restored houses. Of particular note is the Romanesque church of Sant Pere and the Plaça de la Llotja, home to a bar, handful of restaurants and the tiny artisan farm selling local cheeses and the typical speciality ‘Recuit’. 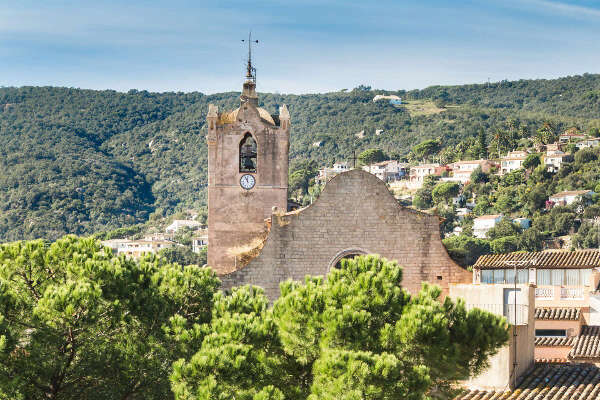 Just outside the village on the hill of Sant Andreu are the impressive remains of an Iberian settlement dating back to the 5th century (although only discovered in 1948), with a small archaeological museum housed in the chapel of Sant Andreu. 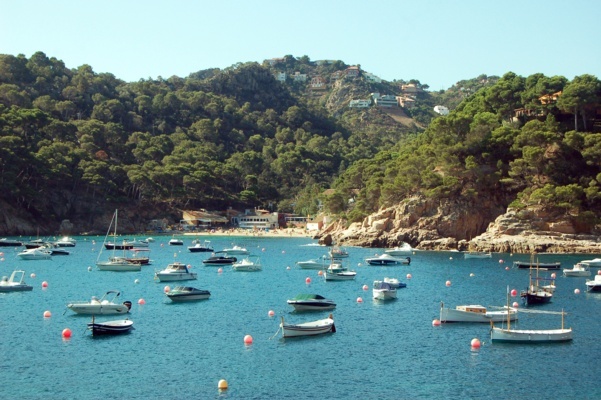 The hidden cove and small marina of Cala Canyelles lie just south of the stunning corniche that runs from Sant Feliu de Guixols to Tossa de Mar. Pine trees cling to the cliffs that run down to the water's edge and the crystal clear waters are popular for both divers and snorkellers alike. From the sandy beach it is possible to hire a kayak and explore this rugged coastline from the best vantage point: the sea.